I know what you are thinking – beets? Really? Absolutely! Besides making your morning beet smoothie a brilliant pink color, they are one of the healthiest ingredients you could consume, and do not overpower the drink. I really do understand why people might have an aversion to including beets in their smoothie, but I am here to tell you that it turns out great. 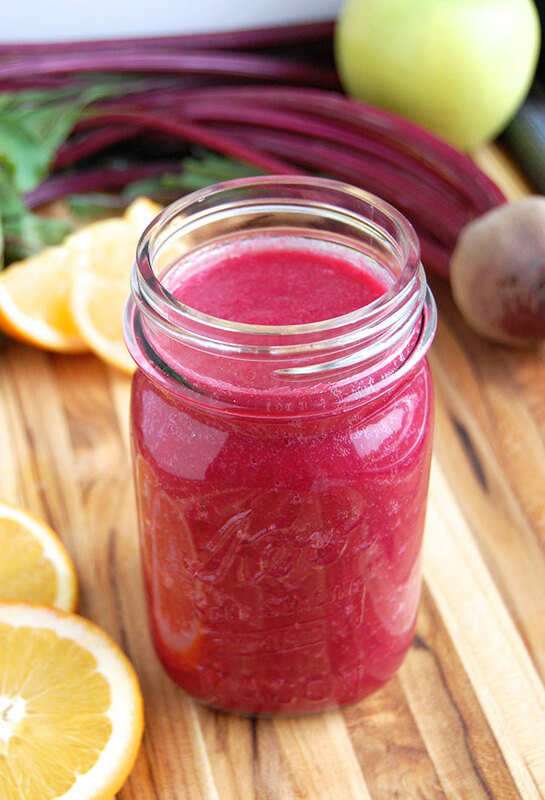 Peeling the beets gets rid of most of their earthy flavor, and blending them with zesty oranges makes a delicious smoothie. Plus there is the beautiful color that comes from the vegetable! A powerful blender is recommended to mix up the bright, citrusy smoothie. If you do not have access to one, I recommend straining the juice through a cheesecloth. Beets are a powerful detoxifying vegetable. Beets work together with the liver to flush out toxins in the body. I especially prefer this smoothie in the winter months, around the holidays when a little cleansing is welcome. 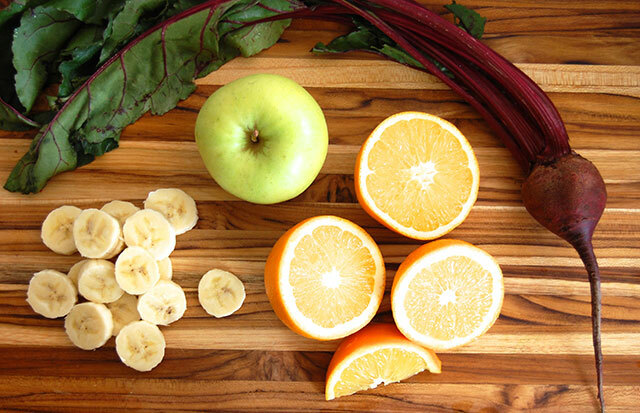 There is plenty of fiber in the smoothie, along with a whole list of vitamins and minerals. This includes potassium, magnesium, iron, vitamins A, B and C, and folic acid, just to name a few. Pregnant women especially can benefit from the vitamin B and iron found in beets. Beets are also a rich source of nitrates, which improve blood flow and help to lower blood pressure. You can even keep the beet greens and use them later. The leaves can be used in almost any recipe that call for spinach or kale, and contain as many health benefits as the root of the vegetable does. The leaves are best though within one or two days. Don’t let the bold colors of this smoothie intimidate you. 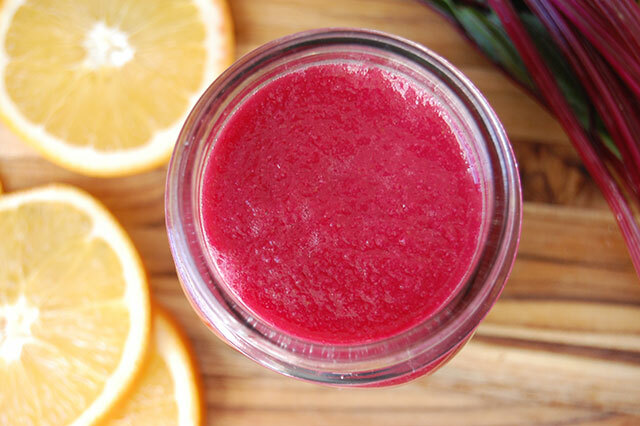 This beet and citrus smoothie is a nutritional powerhouse, and tastes surprisingly bright and refreshing. Can you provide any evidence at all for “Beets are a powerful detoxifying vegetable. Beets work together with the liver to flush out toxins in the body.” Specifically, what toxins are flushed out? Also any evidence for the other claims that you make would be appreciated.